We accept same-day emergency appointments. Call us today at (410) 346-2350. A sudden dental emergency often causes pain, chaos, and confusion. It throws a monkey wrench into your plans and leaves you wondering, “Where can I find emergency dental care near me?” Getting emergency dental care promptly relieves your pain and ensures that the condition or injury doesn’t get worse. You don’t have to wait or suffer when you need emergency dental care, we can help. Our emergency dentists in Columbia provide the care that you need when dental disasters strike. For your convenience, our emergency dental office treats patients during regular business hours. Just give us a call to schedule your appointment, and we’ll see you as soon as possible. One of our skilled providers will diagnose the disorder, relieve your discomfort, and treat the problem so that your pain doesn’t come back. We always welcome dental emergencies on both a walk-in and appointment basis. Emergency dental services are treatments provided to alleviate the symptoms of unexpected dental problems and prevent any long-term or permanent damage that might occur if such problems were not treated expediently. Our office regularly provides the urgent dental care services listed below. When Should I Seek Emergency Dental Treatment? I don’t know what’s wrong with my tooth. How can I tell if I need to find emergency dental care near me? To prevent infection and additional structural damage, call us immediately to schedule repair of broken or fractured teeth. If your tooth has sharp edges, cover them with dental wax to protect your mouth and gums from injury. Emergency dentists can often save knocked-out teeth. If your tooth becomes completely dislodged, handle it only by its crown. Rinse the tooth in warm water, and insert it into the empty socket or keep it moist inside your mouth. Call our office immediately for emergency instructions. Severe toothache pain and pressure has a number of possible causes, so it’s important to get an accurate diagnosis. Call us to schedule an appointment for treatment. Be sure to tell the dentist if you’re experiencing other symptoms such as fever or earache. Mild tooth sensitivity may not require urgent dental care, but if it appears suddenly or unexpectedly, it may be a sign of a more serious problem such as a hidden fracture or bacterial infection. Our dentists can determine the root cause and provide a solution. Tooth decay eats away at the structure of your tooth until cavities form and roots and nerves are exposed. At this stage, they become painful. Our emergency dentists can assess the level of damage to your tooth and provide a filling or other restorative treatment. If you are experiencing severe tooth pain, fever, facial swelling, foul mouth odors, swollen glands, or a draining sore inside your mouth, you may have an abscessed tooth. Abscesses often begin at the root of the tooth and can progress quickly. If you don’t treat an abscess, you could suffer serious complications, so be sure to call our emergency dental office as soon as possible if your symptoms suggest this serious infection. If your filling falls out or loosens, try to keep food debris out of the space, and call us immediately to schedule treatment. Without its filling, a tooth is left more vulnerable to decay and further physical damage. A broken crown or lost restoration doesn’t just affect your appearance. It also leaves the affected teeth at higher risk of decay. 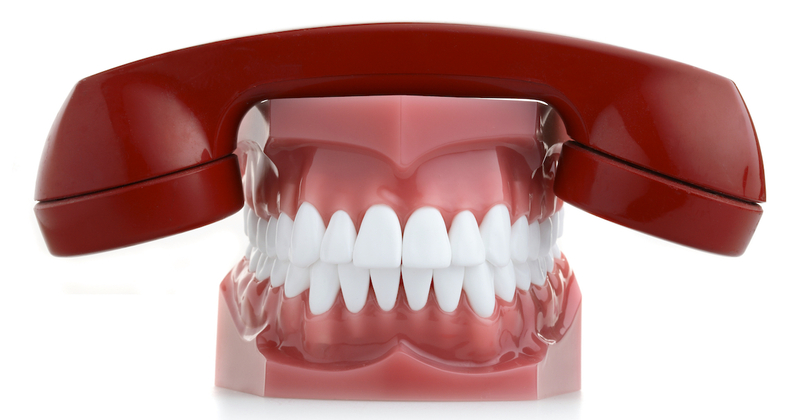 Our emergency dentists can create a permanent or temporary covering to protect your teeth. Metal braces have components that can sometimes break and cause injury or mouth irritation. We can relieve pain, fix orthodontic problems, and make adjustments to prevent further injury. If you grind your teeth while you’re sleeping, your tooth enamel is subjected to continual friction that will cause significant damage over time. We can reinforce your enamel with strengthening treatments and help you beat your bruxism habit with a fitted dental night guard. Sinus pressure that isn’t related to a cold or sinus disease may actually have a dental origin. If you are suffering from chronic and unexplained sinus pressure, let us discover or rule out potential dental causes such as impacted teeth and infections. I’ve been in an accident, and my mouth is bleeding uncontrollably. Should I find an emergency dental office near me or obtain non-dental medical care? Symptoms or injuries that could threaten your life or your general health cannot be treated by emergency dentists in Columbia. If you suffer severe swelling, profuse bleeding or injuries to your head, jaw, or face, seek care at a hospital emergency room or call 911. Every patient’s cost for emergency dental care is different. Your total charges depend on your condition and what is needed to correct it. Our emergency dentists can give you a cost estimate after examining your mouth and developing a treatment plan. You have several payment options; we accept most dental insurance plans and major credit cards, and we also offer financing options to help you manage your budget. If you don’t have an insurance plan, consider becoming a member of our DentRite® discount plan. It’s a convenient program that helps you save between 20 and 70 percent on many common dental services. Your acceptance is guaranteed, and you can even add your family members to the plan. Contact us to learn more. If I lose my crown on a Saturday night, should I postpone care until Monday when I can visit the emergency dental office near me? If your symptoms occur when our emergency dentists are not available, you can get treatment at an emergency room or after-hours clinic, and this would be the best option if you have severe pain or troubling symptoms. For problems that occur or recur during business hours, give our emergency dentists in Columbia a call. Friendly, efficient, knowledgeable, and caring staff! Overall friendliness of the staff. Thorough explanation of future treatment and why it needs to be done. Excellent service; caring , compassionate technicians; and knowledgeable doctor. The awesomeness of Dr. Chehab and his staff – they are gentle, courteous, friendly…they help you to have a great dental experience…. and I trust them. Maxine and Brianna are amazing and they always treat me so well! !